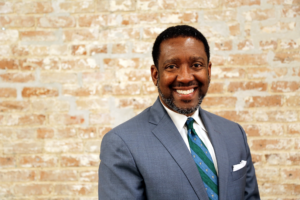 Flozell Daniels Jr., President and CEO of Foundation for Louisiana (formerly the Louisiana Disaster Recovery Foundation), is a public policy and community engagement strategist with expertise in community development, resilience building, legislative strategy and leadership development. With a focus on building successful coalitions that increase success in expanding economic opportunity for all, Flozell is accomplished in expanding capacity and outcomes in areas that include community development finance, criminal justice reform, coastal/environmental policy, transit equity and asset development. Flozell has led more than $50 million of award-winning community investment strategies while at the Foundation. Prior to his appointment at the Foundation, Flozell served as Tulane University's Assistant Vice-President & Executive Director of State and Local Affairs for nine years. Before that, he cut his public policy and community engagement teeth as an Urban Policy Specialist & Administrative Assistant in the Office of the Mayor, Division of Federal and State Programs for the City of New Orleans. In his civic capacity, Flozell currently serves as Ex-officio & Policy Committee Chair of the Urban League of Greater New Orleans Board of Directors, where he was honored with the first-ever Distinguished Service Award for board leadership after serving five years as the post-Katrina Chair leading critical recovery efforts. Flozell is also a founding member and Board Chairman of the Orleans Public Education Network; a Mayoral-appointed commissioner for the New Orleans Regional Transit Authority; the Supreme Court Chief Justice appointee to the Louisiana Public Defender Board; a founding member of the Greater New Orleans Funders Network; steering committee member of the first of its kind New Orleans White House Local Resource Network; an advisory member of the ResilienceNOLA/100 Resilient Cities Initiative; and, has served as a commissioner of the Mayor's Working Group on Criminal Justice Reform in New Orleans that led to historic reductions in jail size. Flozell is a 2013 graduate of University of Oxford Said Business School's Impact Investing Programme, 2011 Fellow of the Opportunity Agenda Communications Institute, a life Fellow of the Louisiana Effective Leadership Program, an alumnus of Leadership Louisiana and a graduate of the Metropolitan Leadership Forum. Flozell has an MBA from the A.B. Freeman School of Tulane University, a BA in Biological Sciences from the University of New Orleans, and spent six years doing materials research for the USDA. 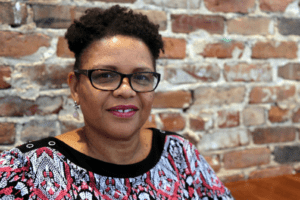 A New Orleans native who was raised in the Freret neighborhood, Flozell has a daughter, and spends free time enjoying second lines, festivals and other celebrations of Louisiana's amazing culture. Alfredo A. Cruz, Vice President of Programs & Special Initiatives, joined Foundation for Louisiana in 2011 and currently serves as the Vice-President of Programs and Special Initiatives. In this role, he leads the foundation's program staff in meeting the institutional goals and objectives while nurturing a culture of equity and effectiveness. As part of the executive team, Alfredo provides leadership with board and staff development, fund development and setting institutional policies and practices. He also oversees new initiatives and partnerships that aim to advance the foundation's mission. Prior to his position with the Foundation, Alfredo worked at the *Florida Legislature* as the Legislative Assistant to Florida State Representative Michelle Rehwinkel Vasilinda (D-9) on a policy agenda focused on clean energy and growing Florida's green economy and workforce. Alfredo also worked as a program officer for the *John S. and James L. Knight Foundation*, where his program areas included arts and culture, youth development, civic engagement, and economic-community development. 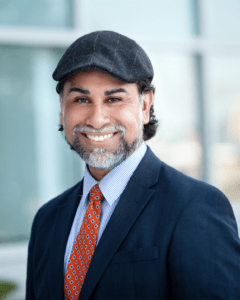 During his career in philanthropy, he has served on the board of affinity groups such as Hispanics in Philanthropy (HIP) and Emerging Practitioners in Philanthropy. He is a 2015 PLACES Fellow with the Funders Network for Smart Growth and Livable Communities and currently serves on the boards of Funders for LGBTQ Issues and Southeastern Council on Foundations. Alfredo has also served on various nonprofit boards including Whole Child Leon Project, Capital Area Healthy Start Coalition, Council on Culture and Arts, Council of Neighborhood Associations and the Committee for a Better New Orleans. Alfredo earned his B.A. in English Literature from Florida State University where he also completed a M.A. in Urban and Regional Planning and M.P.A. studies. He grew up in Miami and lived in Tallahassee (Fla.) for eight years before moving to Louisiana, and currently resides in Baton Rouge. Dana Delpit, Chief Financial Officer, brings 30 years of experience in fund accounting and nonprofit experience to her role as Chief Financial Officer. In her duties, Dana is responsible for ensuring the financial compliance and overall fiscal health of FFL through oversight of the day-to-day financial and administrative activities, including preparation and management of the operating budget, investment portfolio, annual audit, review/implementation of financial policies and procedures and appropriate internal and external reporting. Delpit brings with her a deep knowledge of cost allocations, allowable cost, indirect cost rates and budget forecasting. 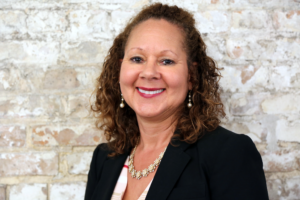 Her decades of experience include five years of experience in community health centers, most recently as the Finance and Operations Manager with the Louisiana Public Health Institute. A proud New Orleans native, she earned her Bachelor's of Science from Xavier University of New Orleans, and a Master's of Business Administration from New York Institute of Technology's Ellis College. Laquitta Bowers, Programs Associate, will be supporting the Truth, Racial Healing and Transformation (TRHT) work in Baton Rouge, assisting with program activities and supporting our Fiscal Sponsorship program. Laquitta has an extensive background in nonprofit work, most recently as a survey research interviewer with LSU's Public Policy Research Lab. Prior to that she has worked for Louisiana Health Care Quality Forum; George Washington University Biostatistics Center; National Healthy Mothers, Healthy Babies Coalition; AIDS Alliance for Children, Youth & Families; and supported Substance Abuse and Mental Health Services Administration response to Hurricane Katrina. Caressa Chester, Coastal Community Programs Associate, Caressa supports the Coastal Community Resilience Program by assisting with the program's increasing number of planning and outreach efforts and the continuous development of Coastal Resiliency Leverage Fund. In providing administrative support, she aids in the capacity and reach of the Foundation's efforts to serve and empower coastal communities. Caressa is passionate about addressing the ways that environmental destruction continues to marginalize those that are already vulnerable. By addressing inequity at its root, she believes we can strategize about the future with community at the forefront. Caressa has a variety of experience in environmental work from non-profits, teaching, and via an independent business. She believes that nature is a space of healing, empowerment and wellbeing, and is interested in all of the ways appreciation for, preservation of, and adaptation with water and land can be achieved. Caressa comes to us from Brickolage Academy in New Orleans, where she served as the Garden Program Coordinator and Teacher. In this role, she kick-started Bricolage's new school garden, which worked to help students understand the connection between nature, art, science and food. Caressa previously served as the Major Gifts Assistant at Center for Biological Diversity in Tucson, Ariz. She has a bachelor of arts in international studies from the University of Arizona. Rosa Gomez-Herrin, is FFL's Director of Racial Justice Programs. She is a sociologist and urban planner with more than 15 years of professional experience in the nonprofit and philanthropic sectors. 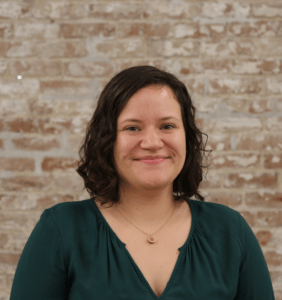 Rosa joined the Foundation for Louisiana team as our first Truth, Racial Healing and Transformation (TRHT) Program Manager, in charge of providing leadership in the development and implementation of TRHT programming. Her role has grown to include our Baton Rouge LEAD Program and the Baton Rouge Immigrants' Rights Coalition, among others. She works directly with partners and allies to generate effective strategies and develop a grantmaking portfolio, consistent with FFL's mission and purpose. Rosa has on-the-ground experience addressing complex social issues, including racial and gender equity, workforce development, chronic homelessness, housing and disaster recovery, access to affordable healthcare, immigrants' rights, and sustainable development. She has worked on a wide range of social and racial-justice projects throughout her career, and has extensive experience planning regional and national conferences, facilitating workshops, leading community engagement efforts, and advocating for people-centered policies that promote racial and gender equity. Rosa graduated from the University of Southern Mississippi with a B.A. in Sociology, and holds a Master's of Urban and Regional Planning from the University of New Orleans (UNO). She is currently pursuing a Ph.D. in Urban Studies at UNO, her dissertation research explores the cultural manifestations of the Latinx ethnic identity in the built environment, focusing on Latinx urbanism in the Greater New Orleans area. She has worked in Perú, Mississippi and Louisiana as an advocate and organizer, focusing on improving social and economic accessibility for historically disenfranchised communities. Before joining FFL, Rosa worked for Oxfam America as the Gulf Coast Policy Officer, where she utilized policy advocacy and strategic grantmaking to support the rights of socially vulnerable communities in the region to a decent livelihood, while promoting responsible environmental stewardship in tandem with sustainable economic development and resilient communities. She serves on two boards of directors; locally, she serves as Secretary of Mary Queen of Vietnam Community Development Corporation; and nationally, she is the President of Arte Sana (art heals), a national Latina-led nonprofit committed to ending sexual violence, other forms of gender-based aggressions and engage marginalized communities as agents of change. Additionally, she serves on Lift Louisiana advisory board, co-chairs the health committee for the Louisiana Language Access Coalition (LLAC) and acts as an executive member. Rosa also co-facilitates the Latino Forum of Greater New Orleans and writes a bimonthly bilingual column for Jambalaya News, a free printed newspaper targeting the Latinx community in 13 parishes in Louisiana. Ra'Shaud Haines, Community Investment Fund Manager, is a "recovering banker" with a passion for empowering his community. He brings more than 15 years of consumer and commercial lending experience to the role of Community Investment Fund Manager. His responsibilities include providing analysis of individual loans and combined loan portfolio performance and overseeing the development and implementation a plan for the coordination of the One Table. Most recently, Ra'Shaud led the creation and launch of an automated financial innovation platform from concept to viable product, allowing credit unions to provide small loans to clients via an expedited, paperless process. He previously served as Vice President of Commercial Lending at Liberty Bank, developing and maintaining important client relationships, generating revenue for the organization and leading the FDIC Small Dollar Loan Pilot Program, which provided responsible small loans to individuals and offered "workplace" loans through medium-size and large companies. He received his foundational training in financial accounting, corporate finance theory, cash flow analysis, credit/risk analysis, financial modeling, valuation, business writing, business etiquette, advanced excel from Key Bank. He has a bachelor's degree in business administration from Morehouse College and an Master of Business Administration from Loyola University. Victoria Heffron, Staff Accountant, brings five years of foundation accounting experience to her role as Staff Accountant at Foundation for Louisiana. Victoria supports the Chief Financial Officer in recording and reporting on all aspects of the foundation's finances -- from cutting checks and tracking budgets to ensuring compliance with Internal Revenue Service regulations. Victoria is passionate about using her accounting skills to support and build capacity in organizations that work toward equity and social justice. Born in Boston, Victoria grew up in Connecticut and Virginia in a military family with deep family roots in Louisiana. Victoria has a bachelor's degree in anthropology from the University of New Orleans. She previously worked in the finance department of the Greater New Orleans Foundation, where she streamlined processes and led an organization-wide database cleanup. When she's not making spreadsheets, Victoria likes to be outside, hiking in the woods or swimming in the ocean. Keeta Jackson, Programs Associate, joins Foundation for Louisiana as Programs Assistant for Special Initiatives, working in the New Orleans office. Keeta provides support for the Truth, Racial Healing & Transformation framework funded through the W.K. Kellogg Foundation as well as support in the development of the Claiborne Corridor Cultural Innovation District a 19-block transformation of the elevated Interstate-10 expressway along Claiborne Avenue. Keeta is the oldest daughter of a military family and raised in Virginia Beach, Va. Later, would earn her Bachelor's of Science in Marketing Management from Virginia Polytechnic Institute and State University. After graduating, Keeta joined a Fortune 500 company that led to her working at their corporate headquarters in St. Louis, Mo., for several years when an opportunity to relocate to New Orleans opened in 2010. After a few more years in a career in the private sector, she was drawn to the unique culture and resilience of the residents of New Orleans and was compelled to make a change in career that aligned with her concerns for social justice and equality. In 2013, Keeta entered a master's program in Human Services with Capella University, which she completed in March of 2016. 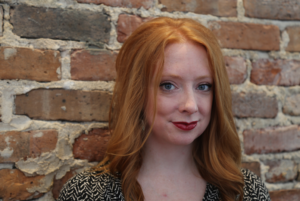 Prior to her work with Foundation for Louisiana, Keeta leveraged her corporate experience and worked at Propeller: A Force for Social Innovation as Grant Research and Evaluation Associate under AmeriCorps. 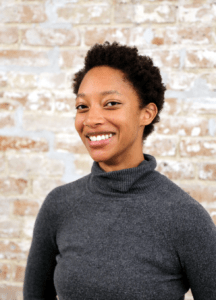 She assisted in designing and implementing systems and materials that expand the funding of Propeller and further its mission to help entrepreneurs grow their nonprofits and small businesses to tackle social and environmental disparities in New Orleans through education, food access, health and water. 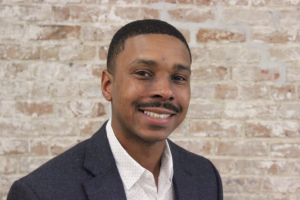 Desmond Johnnie, Grants and Fiscal Sponsor Manager, is a Louisiana native who brings more than 5 years of experience to his role in the Grant Management and the Fiscal Sponsorship Program. Desmond has a background in working with philanthropic organizations, as well as in event management with culturally diverse groups. His responsibilities include the tracking and reporting of incoming and outgoing grants, working with our CFO to generate and manage fiscal sponsor receivables and payables, and fiscal sponsor program relationship management. Desmond previously served as a Program Manager and Art Director in the art industries of Miami, Florida and New Orleans, Louisiana, where he coordinated special projects and events. He has experience in business development, product design, purchasing, sales, infrastructure management, and working with international clients. He has a vast knowledge in technology as well, which includes graphic design, digital marketing, video production and database management. Desmond is certified in Adobe Creative Suite, Google SketchUp, and has WordPress expertise. Desmond received his degree in Art Education from Florida State University. He is passionate about social political activism, mentoring youth, supporting our homeless communities, autism awareness, and mental health awareness; Desmond received various awards for his work in these fields during his time in Florida. Klie Kliebert, Communications Manager, brings a combination of communications experience, a passion for telling the story of Louisiana, and an intersectional racial and social justice analysis to the team. They are an ambassador for the organization, working to amplify the voices and experiences of underrepresented Louisianans and position FFL as a thought leader in the space of criminal justice reform, police accountability, support for LGBTQ Louisianans, and support for Louisiana communities navigating the impacts of sea level rise and climate change. Klie is a native Louisianan, digital strategist, writer, and community organizer who has served extensively within environmental, racial and gender justice movements for more than a decade. Since 2015, Klie has worked as the Communications Director for Water Works, a local L3C dedicated to building community resilience and reducing risk from flooding, pollution, and natural hazards through multidisciplinary solutions that integrate science, history, and art. Klie also served as the Communications Director at Transilient from 2017-2018, an internationally recognized project that documents the everyday lives of transgender and non-binary people across the United States. In an effort to eliminate stigma for the transgender community, Klie developed and implemented a digital strategy for Transilient that engaged millions of people globally, as the project was featured by Buzzfeed, HuffPost, OUT Magazine, the Human Rights Campaign, and the National Center for Transgender Equality throughout 2017. Klie believes that change occurs when we shift narratives toward truth, and they are committed to being part of that change both globally and here in their home state. Additionally, Klie is the former Operations Manager for Public Lab (2015-17), an open source international community of scientists and activists focused on collecting data about our local environments. Klie has experience in HIV case management with Volunteers of America Baton Rouge (2007-08), is a Loyola University Institute for Environmental Communications Fellow (2016), and was the Safety Officer for GOSH (Gathering of Open Science and Hardware) in 2017. Klie has co-written multiple Codes of Conduct specifically within science and tech spaces, and they are a contributor to the Global Open Science Hardware Roadmap: an actionable plan to make science hardware open and accessible to everyone by 2025. Klie continues to serve as a group facilitator with the Trans*Visible Network, a volunteer programmer for the New Orleans Film Society, and an Equity Moderator for an online peer learning group of over 40,000 non-profit professionals. Through their various professional and volunteer experiences, Klie has demonstrated a lifelong commitment to grassroots communities and to making sure that everyone has a place, all stories are told, and all voices are heard. 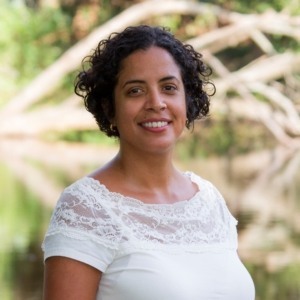 Maria Cherry Rangel, Director of Strategic Initiatives, works towards resourcing and shaping FLL's future, and utilizes her expertise in arts and culture, racial justice, and LGBTQ organizing to inform FFL's programs. 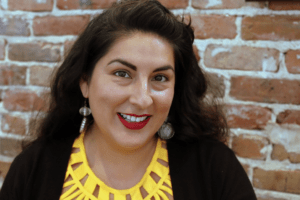 Maria Cherry Rangel is a New Orleans based cultural organizer, philanthropy strategist, equity coach, and organizational capacity building specialist. Focused on interrupting systemic bias in philanthropy and support for grassroots arts ecologies, her advocacy has ensured that millions of dollars have been redirected to communities of color and LGBTQ communities, and towards artists who have faced significant disinvestment by the arts funding infrastructure. A respected voice in the arts and culture sector, she was the Co-Founder/Director of Mangos with Chili (2006-16), where she developed the work of more than 150 queer and trans artists of color, launched 80-plus productions via national tours and local seasons of programming, initiated dialogue around bias in the arts funding infrastructure, and ushered in a new era of possibility for QTPOC centered arts and culture. During her tenure at the National Performance Network (NPN, from 2015-17), she advanced the organization's development goals, radically increased NPN's analysis and practice of racial and social justice, and introduced the work of NPN to younger generations of artists and cultural workers. As Equity Auditor for the 2017 MAP Fund panel, she served in a groundbreaking role that disrupted systemic bias as it emerged during the grants panel process, and provided a new, equity based model for the field for grants review processes. Maria serves on the boards of LOUD: the New Orleans Queer Youth Theater and Peacock Rebellion, and is part of the team conducting Ford Foundation's arts and culture scan of the South. She leads with her lifelong commitment to making a place at the table for everyone, and ensuring that the work of underrepresented artists and cultural workers is lifted up, recognized, and always possible. Rachelle Sanderson is the Coastal Community Resilience Program Manager, as part of our increasing work on coastal resiliency issues in the state. 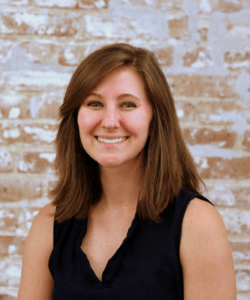 Rachelle works on a number of outreach and planning efforts that include Louisiana’s Strategic Adaptations for Future Environments (LA SAFE) as well as the TOGETHER Initiative: Coastal Edition, along with assisting with the development of the Coastal Resilience Leverage Fund. Rachelle graduated from Mississippi State University with a Bachelor of Science Degree in Professional Meteorology and later received her Master of Science Degree in Coastal Geomorphology from the University of New Orleans (UNO) where her research focused on marsh erosion in Biloxi Marsh. In addition to her experience in meteorology and coastal geomorphology, Rachelle interned at NOAA River Forecasting Center in Slidell where she gained first-hand experience in forecasting riverine flooding. Rachelle has applied her scientific background to grow local capacity and knowledge around increased flood risk across the coast, Louisiana's watersheds, and increasingly urbanized environments and how these future risks exacerbate the current socioeconomic conditions within communities. Nicole Washington, Executive Assistant to the President & CEO, comes from a long background of bringing her organizational, research and management prowess to the work of advancing a social justice agenda. Along with working with the president and CEO’s scheduling, Nicole will be responsible for managing preparations for meetings and presentations, offering advice on technology and file-sharing practices that improve FFL’s overall effectiveness, acting as an intermediary to improve efficiency and effectiveness in our work. Liz Williams Russell, Coastal Community Resilience Director, manages the development and implementation of strategies to support communities and economies influenced by land loss and relative sea-level rise across coastal Louisiana. With a background and training in architectural design, landscape systems, and urban planning, Liz incorporates the complexities of the developed urban ecosystem to promote equitable opportunities in areas altered and affected by land change. Liz directs the activities of the Foundation for Louisiana's Coastal Resilience Leverage Fund, managing coastal grant-making areas with community based advisors, allies and relevant partners while improving and increasing opportunities for regional collaboration. Liz continues to accomplish this work by encouraging communication and coordination among networks across parishes, coastal basins and statewide. The Fund acknowledges and reinforces the work done by resident leaders and community based organizations, working to provide opportunities for those most impacted by environmental risks to be key decision makers in how to address them. Liz's role underscores the foundation's unique ability to provide both technical and grantmaking support in order to catalyze local skillsets and resources, to bolster a range of regional organizational strengths, and to integrate related and interconnected activities towards comprehensive statewide response to coastal change. Risk mitigation and resilience-based programs require an awareness of and participation with these transitioning watersheds. In order to better provide opportunities, establish and cultivate partnerships, and advocate for informed and diverse public engagement, Liz supports fundraising initiatives and guides the common campaign and funding plan across Foundation for Louisiana's Coastal Resiliency Leverage Fund. Liz previously has worked as a Research Fellow and Affiliate with the Coastal Sustainability Studio at Louisiana State University. In this role she led and collaborated with cohorts of civil engineers, urban planners, coastal scientists, and landscape architects alongside economic, legal, and cultural advisors. Each project engaged a set of unique conditions within the coastal landscape and proposed developments through which residents and communities might advance and thrive in a future with evolving challenges. In addition to early years of experience within traditional architecture practice, Liz has held a range of academic positions. She has taught within the School of Architecture at LSU, the Department of Architecture and Landscape within the University of Greenwich in London, London College of Contemporary Art, and Birmingham City University in the UK.